My word!!!! That's EPIC. Are all Burning Mans like that?? 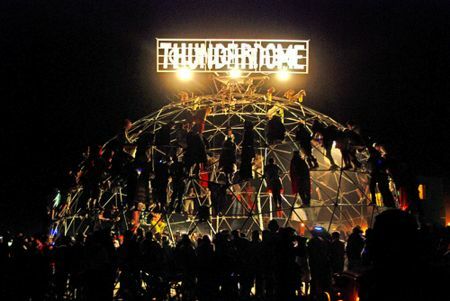 This year was different for me: going early to construct one of the biggest things on the playa and fighting at Thunderdome were both new experiences for me. I think I want to go back to how I did it the last few years: just doing shifts at a bar & relaxing in my cute outfits! Underpants and boobage??!!? If only there was gravy to dunk you in. Sigh... A perv can dream.